Buy CBD oil. Welcome to our CBD Store. This store started in September of 2012. The CBD Store "front page"
We are an information driven site with CBD products we believe in for usage. I am Scott Salisbury the owner, a user, and a subject matter expert on CBD. Make me prove it, call! Organic Cold Pressed Hemp Oil, 21% Organic Hemp CBD Oil, Stevia, natural flavors. 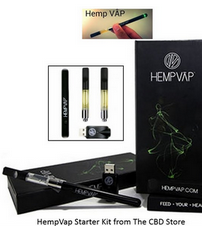 CBD from Hemp Oil made for your vaporizer experience. We have hundreds of customers that buy from our store for various reasons. Health and Wellness... YES! These products are legal in all 50 states, because they are rich in CBD not THC. 50 mg Nature's Nectar CBD Oil, VG1 Glycerine, Food Grade P.G., Natural flavors. VG1 Glycerine, Food Grade P.G., Natural flavors. Buy CBD VAPE Oil "Tasty Vap"
Buy CBD VAPE Oil "Nature's Nectar"
Buy CBD VAPE oil "Hemp Honey"